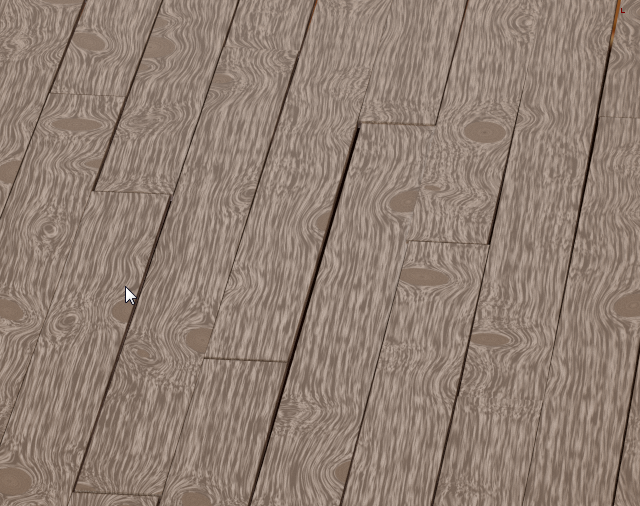 This version (0.0.7) of the floor board generator adds options to add small random rotations to the individual planks. 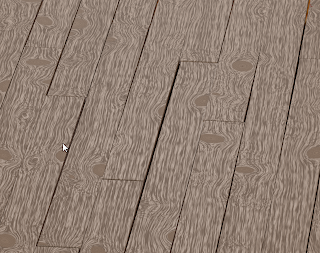 This is useful when creating floors in older houses. All the options are now visually grouped as well to aid the user in locating related options. 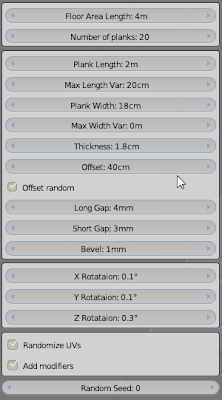 The latest version of the code is available from GitHub and is tracked in the Blender Extensions tracker (although most of the discussion is in this BlenderArtists thread.